The 2017 edition of the Trends Report presents the latest review of the six key metrics, with additional details about the growing historical perspective on how legal market dynamics are evolving over time. CounselLink Enterprise Legal Management software is a secure, scalable, cloud-based solution that offers a flexible mix of best-practice features and configurable capabilities. 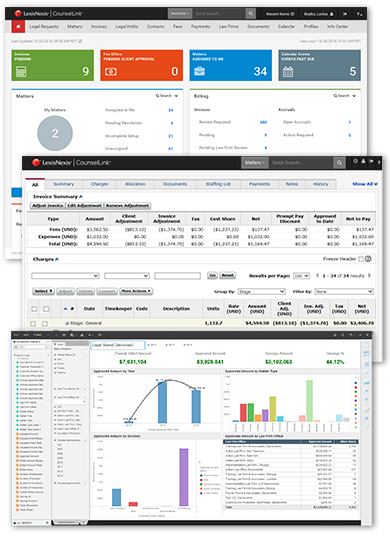 Integrating powerful functions for legal spend management, matter management, legal holds, reporting, analytics and benchmarking, CounselLink delivers measurable results and value across the enterprise. TAKE CONTROL OF YOUR LEGAL OPERATIONS TODAY!